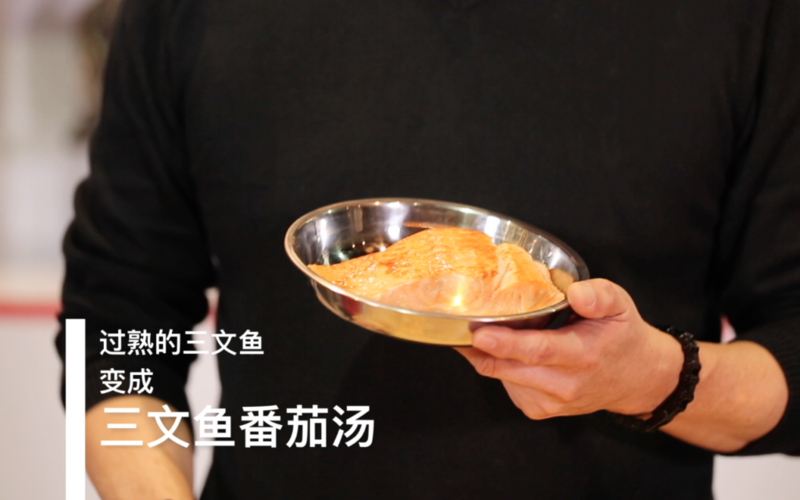 Home SuperSeed Originals Chef's Diary with Chef Eric Teo Chef Eric Teo’s Salmon Tomato Soup! 煮太熟的三文鱼，也可以摇身一变，成为美味又营养的「三文鱼番茄汤」！让 Chef Eric Teo 教大家如何善用现有的食材，煮出一锅好汤！ -- 三文鱼番茄汤!《名厨私房菜 A Chef's Diary》EP01 [A SuperSeed™ TV Original] 关于《名厨私房菜》 简单。易学。容易做。Chef Eric Teo 与你分享下厨的乐趣！ -- 订阅SuperSeed™ TV 的官方YouTube频道！ https://goo.gl/D2K5o6 关注SuperSeed™ TV 的... 官方Facebook专页: http://goo.gl/JgPVGS 官方Instagram: http://goo.gl/mOc9gu 官方网页: https://goo.gl/m5VvVe -- What to do when you've overcooked a salmon fillet? Don't toss it - transform it into a Salmon Tomato Soup! 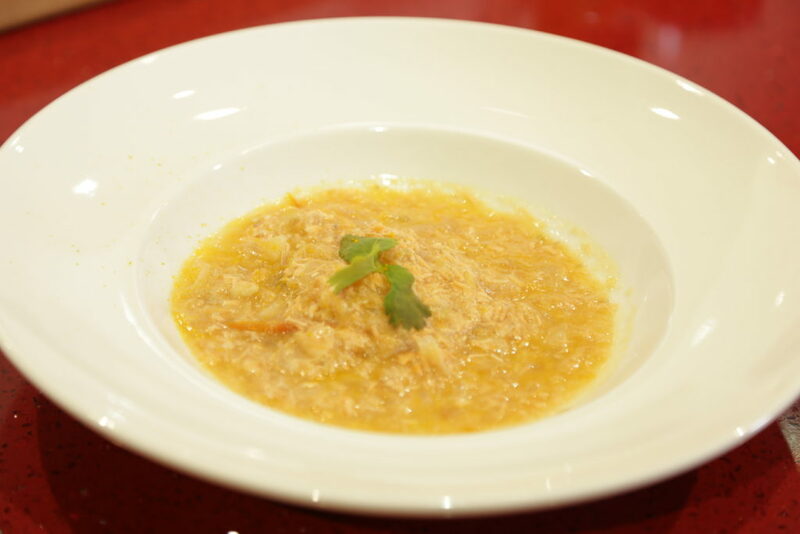 Let Chef Eric Teo show you how easy it is to create this deliciously nutritious dish! Overcooked salmon – it’s every home cook’s nightmare, but, if you thought that cooked-to-death salmon fillet is destined for the trash, think again! Take a leaf from Chef Eric Teo’s book, and transform that overcooked salmon fillet into a healthy, delicious Salmon Tomato Soup! Chef Eric’s Salmon Tomato Soup recipe features a trifecta of vegetables most commonly used in Western soups – sweet leek, fragrant celery, and flavoursome onion. These add dimension to our main stars of the show: tomatoes and salmon. With its copious amounts of Omega-3, the Salmon Tomato Soup is not only delicious, it’s also nutritious, and easy to make. Here’s how! 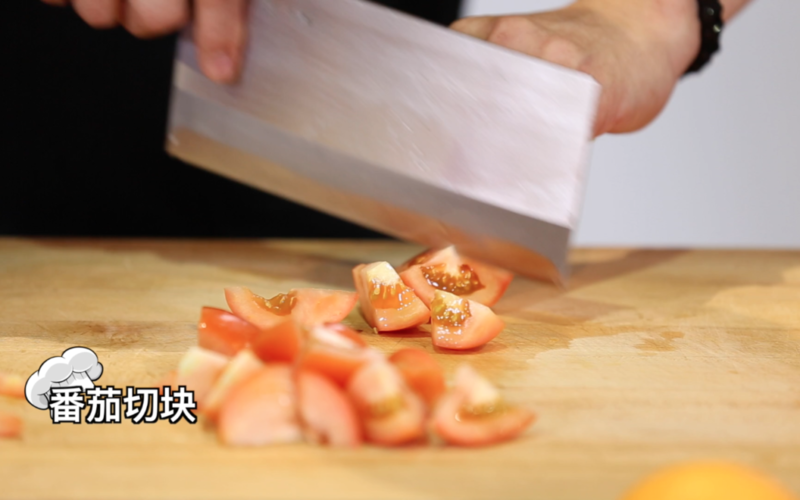 Chop the onion and garlic finely, and dice the tomatoes into chunks. 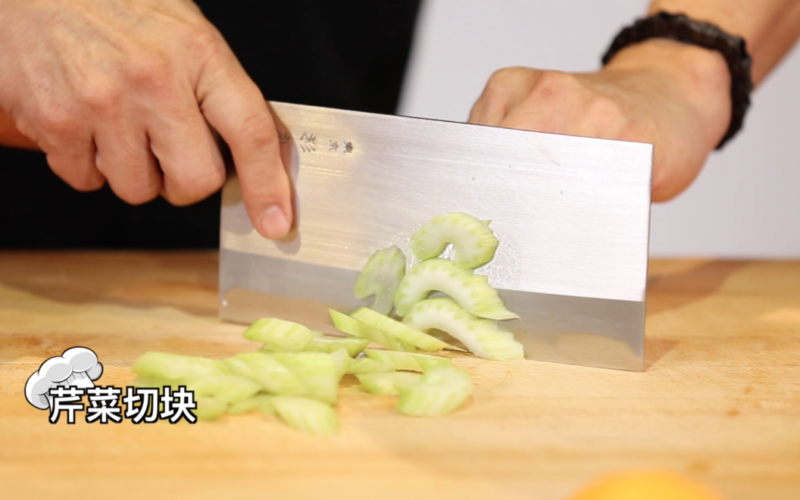 Celery may be sliced across into half-moon shapes, or on the bias (diagonally). 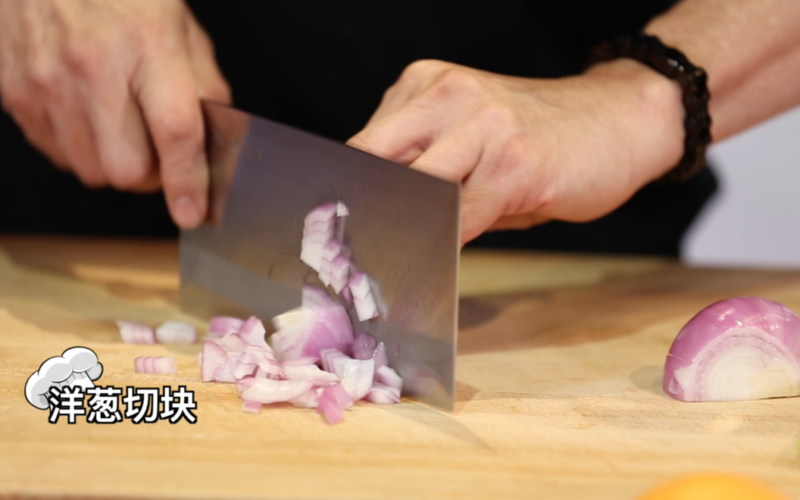 Cut the leek stalk lengthwise in half, then chop each half finely. Mash the cooked salmon fillet. 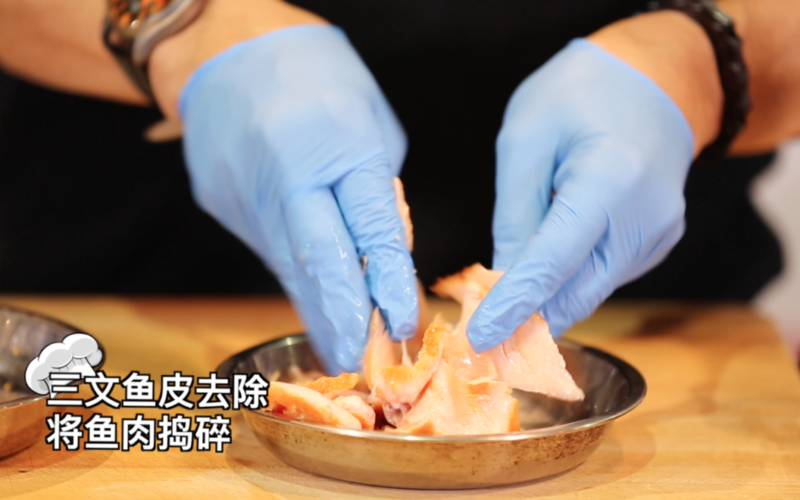 You can do this by hand with gloves on (like Chef Eric does! ), or mash the fillet into chunks with a fork. Be sure to remove the salmon skin! 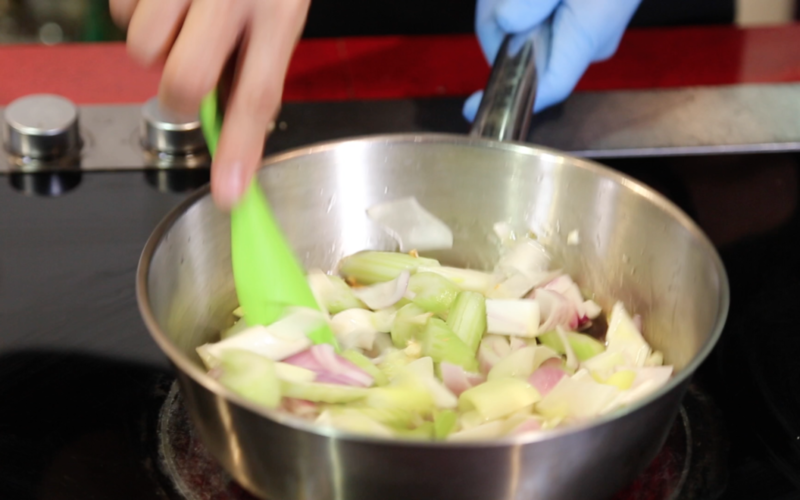 In a deep skillet, lightly sauté the garlic, onion, celery, leek, and tomatoes. Start with the garlic and onions, followed by celery and leek. This releases the sweet, fragrant flavours of these vegetables. Add in the tomatoes last. Sauté the vegetables on high heat. Pour in some white wine to deglaze the skillet. Deglazing creates a flavoursome gravy, while preventing the vegetables from sticking to the bottom of the skillet. Though Chef Eric went with white wine for deeper flavours, deglazing works just fine with water too! 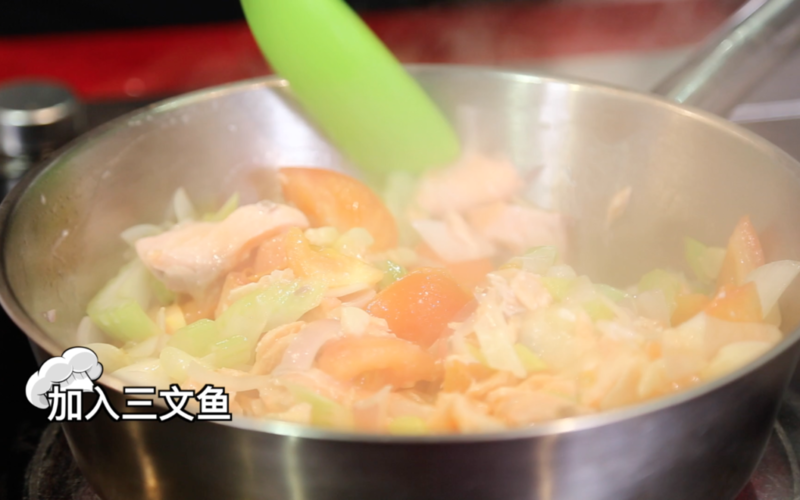 Combine the cooked vegetables and salmon chunks evenly. Add the chicken broth, followed by the water. Remember that the ratio of broth to water is 1:1 (1 part broth, 1 part water). Either home-made broth or store-bought broth works well. Stir to mix evenly. Transfer the soup to the blender, blend briefly in short pulses. 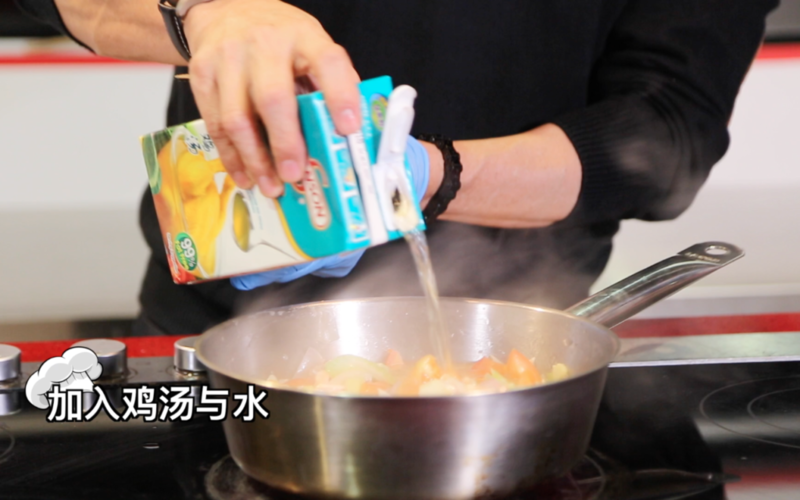 Chef Eric advises against blending excessively – ensure that the soup retains some texture without becoming too watery. Continue to simmer the soup in the deep skillet. Bring the mixture to a gentle boil. At this stage, you may wish to add a pinch of salt, sugar, and pepper to taste. Plate the soup, and garnish with orange zest and parsley. And there you have it – Chef Eric’s deliciously wholesome Salmon Tomato Soup! Salmon Tomato Soup: The Dish That Keeps Giving! Craving for something heartier? Chef Eric’s got a tip for you – just add a little cooking cream, and cook it with your pasta of choice to create a superb Salmon Tomato Pasta for dinner! Previous articleChiropractic: Back in Balance with Dr Bryan Chen!